LASIK vs Cataract Surgery: What’s the Difference? A common question we get at Griffin & Reed Eye Care from our Sacramento and Roseville patients is: What is the difference between LASIK and cataract surgery? Although both LASIK and cataract surgery can do wonders to improve your vision, they are different procedures that serve different purposes in vision correction. You may be a good candidate for LASIK if your vision is stable (no prescription change in the last two years) and you have healthy eyes. What Conditions Does Cataract Surgery Treat? Cataract surgery is designed to treat the clouding of the lens of the eye, which inhibits light from passing through the eye normally. LASIK is performed with our state-of-the-art Alcon WaveLight® EX500 Excimer Laser to reshape the cornea with a cool ultraviolet light. Typically the amount of corneal tissue removed is smaller than the thickness of a human hair, but it allows for dramatic vision correction—98% of our patients achieve 20/20 vision with a single treatment. 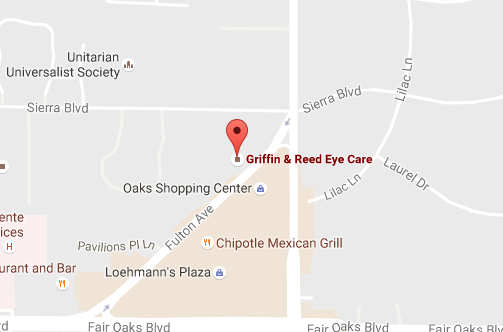 That’s why Griffin & Reed Eye Care is the home of 20/20 vision from your LASIK surgery or your money back. The LASIK procedure only takes about 15 minutes, and the actual laser time per eye is only about a minute each depending on the severity of your prescription. First, a thin corneal flap is created with a femtosecond laser. The corneal flap is then gently lifted back by your surgeon to allow a second laser to reshape the cornea with a computer controlled laser programmed according to your unique corneal map. After the laser treatment, your surgeon carefully positions the corneal flap back into its original position and light rays can now focus more precisely on your retina for improved vision almost immediately. Cataracts are treated by removing the natural lens, which has become clouded, and replacing it with an artificial intraocular lens (IOL). The monofocal lens is standard, but the patient may choose the multifocal lens, such as ReSTOR® to be less dependent on glasses. The monofocal lens corrects for one distance only. For example, it may correct nearsightedness, but not farsightedness, so you may need to continue wearing glasses to see at the uncorrected distance. A multifocal lens, however, improves distance and much of your close up vision so you can rely less on glasses. Each solution offers advantages and disadvantages. Discuss the issue frankly with your eye surgeon to determine the treatment course that is right for you. We strive to never rush our patients and do everything possible to help you make an informed decision that best matches your preferences and lifestyle. The IOL used in cataract surgery corrects nearsightedness and farsightedness but generally does not correct astigmatism. Additional surgery, such as LASIK or PRK can treat astigmatism after cataract surgery has been performed. Want to learn more about how LASIK or cataract surgery can bring your world into focus? 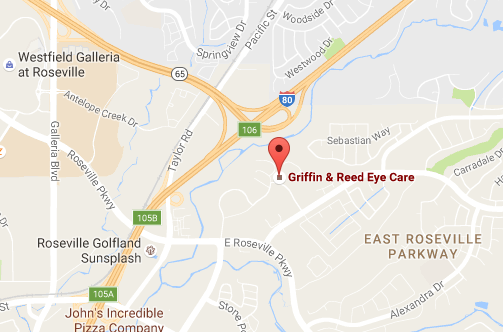 If you are considering a vision correction procedure, call Griffin & Reed Eye Care at 916-485-2020 today or fill out our online contact form to schedule your LASIK consultation. We welcome patients throughout the Sacramento and Roseville areas.